Complete your evening look with this fabulous cocktail ring from Thomas Sabo. 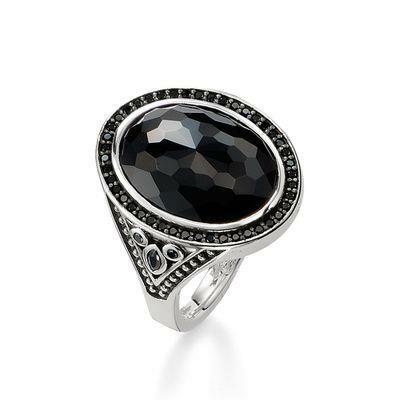 This beautiful design features a faceted Black Onyx stone elaborately embellished with glistening cubic zirconia stones with a detailed oxidised Sterling Silver band. Wear this stunning ring as a statement piece or wear it with the matching So Black pendant for a unique and eye-catching set.